It's summer. The 4th of July is upon us. Other than watching the Nathan's Hot Dog Eating contest (go Matt Stonie! ), what is more American that firing up the grill and cooking up a bunch of burgs 'n dogs for the kids, your neighbors, the gram and gramps and that one weird guy that says he lives near you but only shows up when you're cooking out, all yelling "Hey, smells good!" while wearing some loud Acapulco shirt and cradling a 12er of Hamms under his pit as he crashes your shindig. We of the Tucson Homeskillet fold love and honor this tradition just like handing out candy at Halloween, roasting a turkey all day for Thanksgiving or drinking to excess during the holiday season. It's kind of what we do. But, you know what? We're a bit bored of tradition and thought it might be fun to swing things up a notch just to see what the results could be and hopefully make us appreciate the tried and true custom of burning meat in the summer heat. So what are we doing to do this time around? No no, chill Homeskilleteers. We got you on this one. 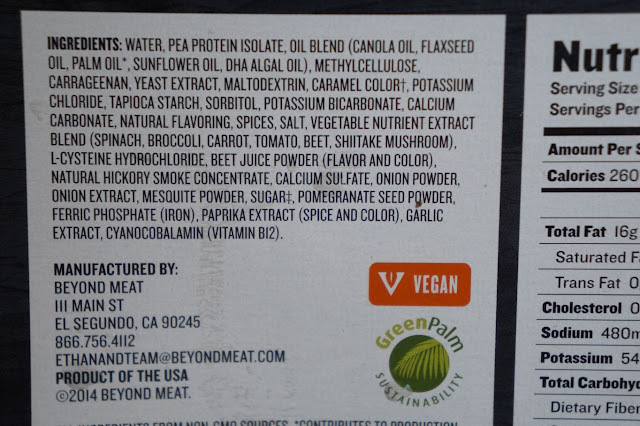 See there is a new product out there by a company called Beyond Meat and they apparently have "beef" products that are 100% plant based that claim to taste just like the real animal thing. It's been circulating 'round the culinary belly for a spell and some of our veggie friends swear by this stuff. Thing is, Beyond Meat is about to drop a major food bomb on us omnivores. Pretty soon, in select fancy grocery stores and then eventually in regular ol' shops once the idea takes off, they are going to sell something called the Beyond Burger. 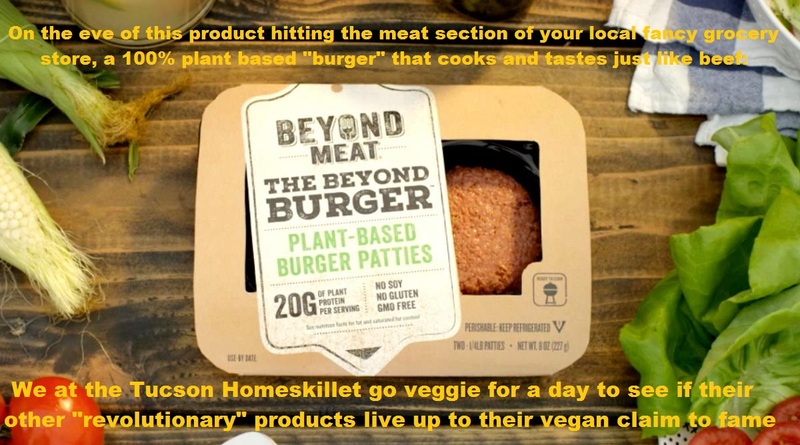 The Beyond Burger is full on vegan "ground beef", no animal products of any kind and it will be sold in your grocers meat section. That's right, vegan meat sold next to real meat. Bold right? Yeah, we like that. 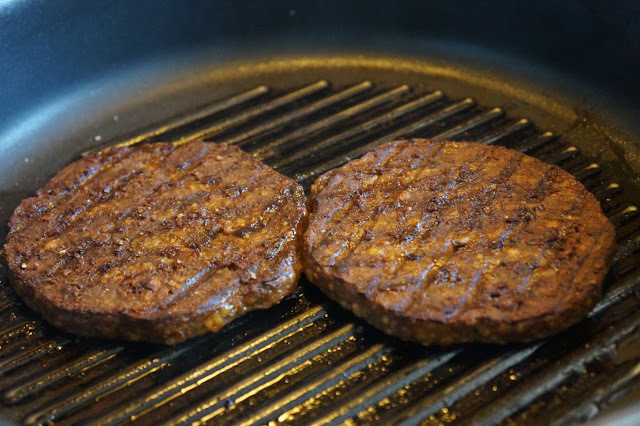 Here's the selling point: the Beyond Burger is said to cook, smell, juice and taste just like real beef. No, really. We've been watching some of the bigger food sites get advanced samples of the stuff and all of them have said they were blown away by how good it is. For real...juices like real meat? How...how is that even possible? Well, we're going to have to wait on that one but for now we wanted to try a few of their other products to see if it lives up to their own hype. 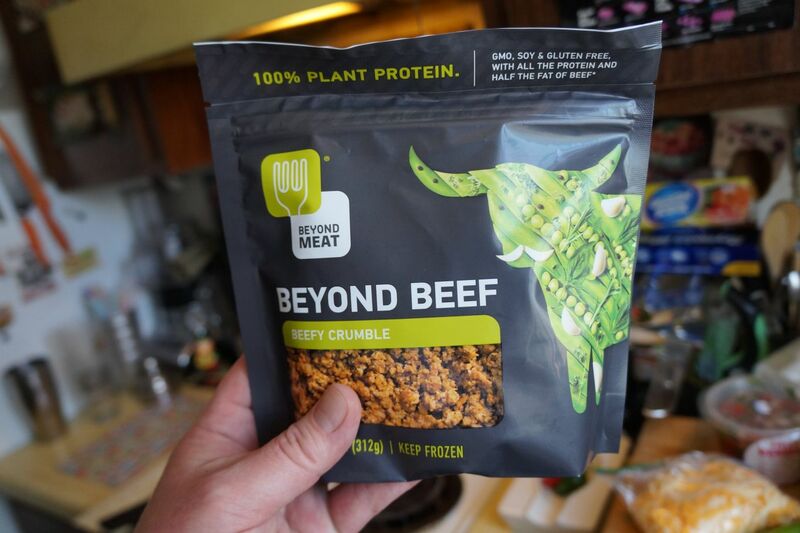 So we went to a local Co-Op and got ourselves two items from Beyond Meat; the Beast Burger and some beef crumbles served in a handy lil' pouch. The idea was to see if they could stand the Homeskillet taste test for two of our favorite foods: burgers and tacos. We just had to do it. We're dumb/awesome like that. First up was the Beast Burger. Unlike the Beyond Burger, which will be sold along regular ground beef in the refrigerated section (as mentioned before), these products are frozen. Whatever. Like we said, veg pals stand by this business like no other, even if they haven't had real meat in decades. So, yeah...how do you know what real meat tastes like? You don't! We eat meat, like, all the time and we know how beef is supposed to feel, smell like and taste. You've been grubbing on leaves and bark and mulch since the Clinton administration, so what do you have to compare to what "real meat" really does to your tongue and gut? This is dumb. We out. Tucson Homeskillet OUT! Shhh....calm down, calm down. No need to freak out. We're just hungry so let's get this challenge started shall we? The Beast Burger didn't look to bad. 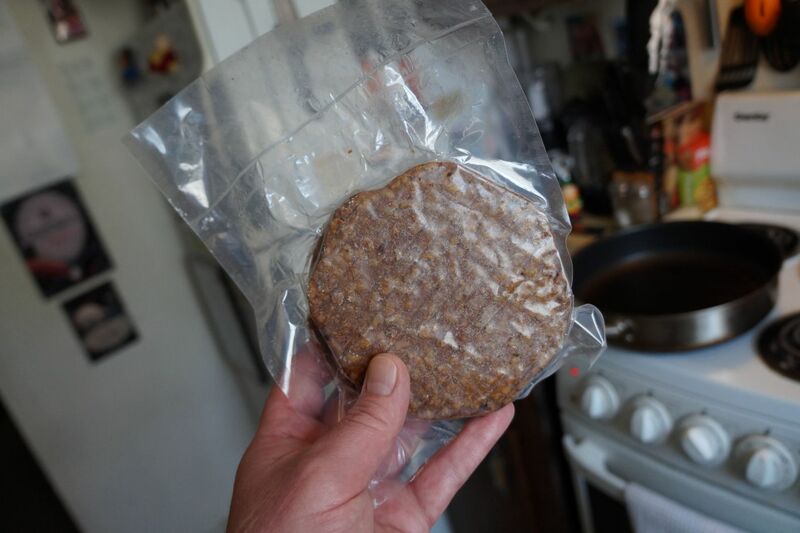 Honestly, it looks like a real frozen beef patty. So we took it out of the plastic jacket, oiled up a hot grill pan and tossed it in. First up was the sizzle. Yeah, the "burger" had a great sizzle to it, just like for real meat. 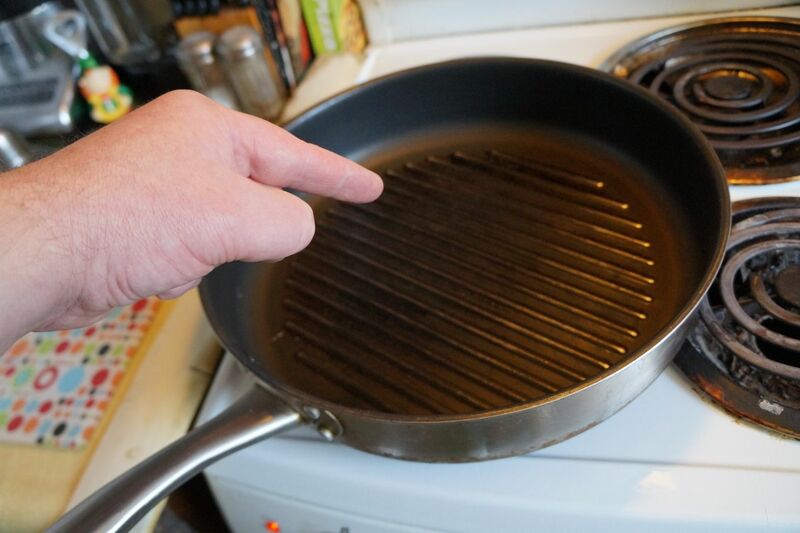 That impressed us right off the pan handle. It smelled good too while it cooked. So far, not too shabby vegan food item. One concern was the fact that the patties had grill marks already on them. So...are they pre-cooked or what? We followed the easy instructions on the box but nowhere did it say they were already griddled then flash frozen and sealed up. After a few minutes on each side, it was time to assemble our sandwich. 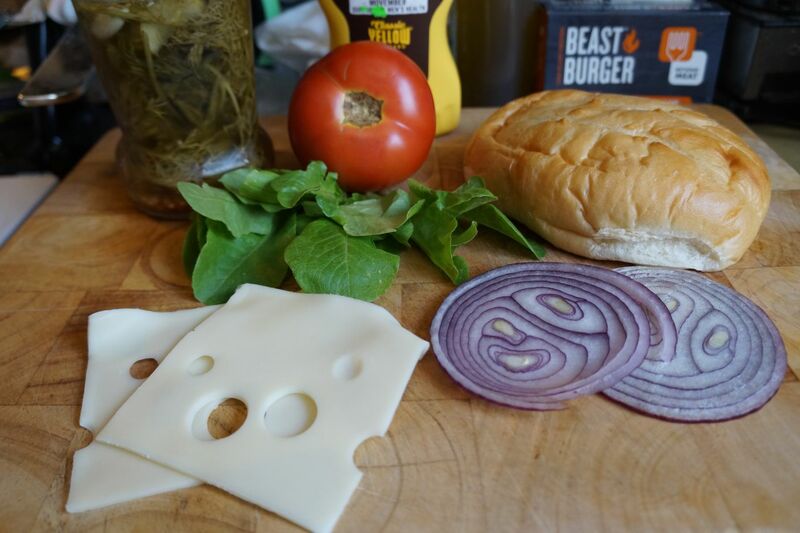 We wanted this one to be pretty special so we made sure the toppings and accessories for the burger were legit. We topped the burgers with our homemade pickles and some bibb lettuce from our garden along with Tucson farmed tomatoes and onion, nice cheese from a local deli (you didn't expect us to go full vegan here did you, that noise is rough so we broke down and added some deep melty Swiss) and a brioche bun from a nearby bakery. It was so on! Feeling frisky we also made a quick aioli, spread some on either side of the lightly toasted bread and put it all together. Check the skills right? Anyway, enough of the self back patting on our sandwich building prowess, how did it taste? You know what? Really good. 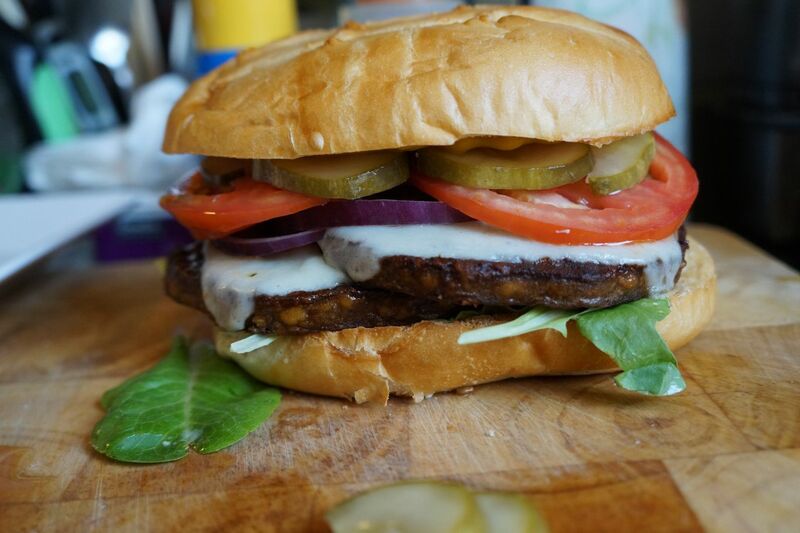 Probably not at the level that the Beyond Burger is going to be but, honestly, if we went to a vegan cookout (blerf!) and this is what they were serving up, we'd be totally stoked about it. Seriously. The patty had a bit of a grainy feel to it and the chew was a little granular but overall we were happy to be eating a plant assembled "beef" burger. It was straight up tasty. Keep this in mind for your veggie friends that you invite over for your next cookout. The heartiness of the patty will surely hold up to the strains of a hot grill on a hot 4th of July afternoon. 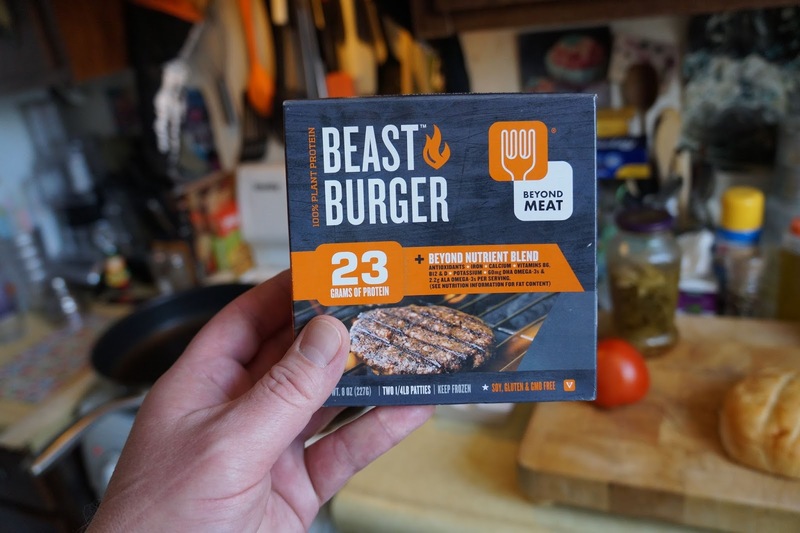 And because of the success of the Beast Burger we are now really stoked to try the Beyond Burger. Now that is something to look forward to, meat eater or not. Alright then. First challenge down and so we move on to the next. We live in Tucson. Tucson has some of the best food around, especially Mexican fare. We have had our share of tacos. Oh yes, a good fair share. So we just couldn't stop with a burger test could we? No. If beyond Meat makes a "beefy" crumble, we thought it best to see if it stood up to a Tucson taco challenge. It's our job. It's...what we do. First off was to get some good supplies from one of our favorite local shops, Carniceria La Noria, on 1st Avenue and Prince. 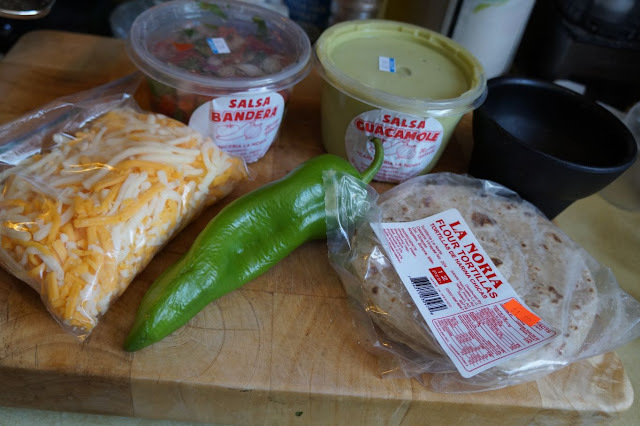 All of their salsas are handmade, as are their tortillas, and we also picked up a bag of their freshly grated cheese. Again, we just can't go completely vegan here. The use of cheese is just oh so too tempting. 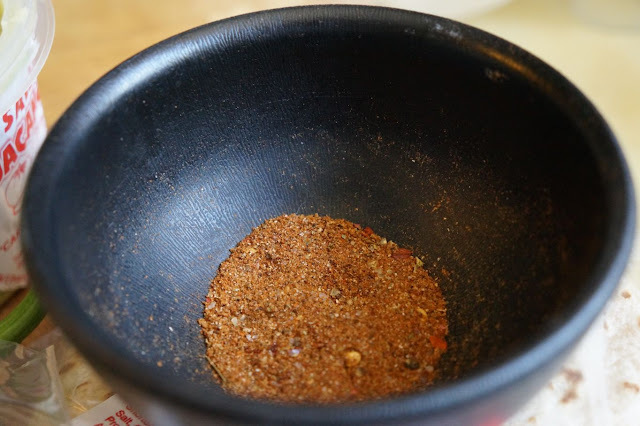 Paired that with Metal Mark's secret taco seasoning (one where he just mixes different recipes found online and hopes that it comes out okay...this time it worked!) and a fresh pepper and lettuce from the garden, this round of the Beyond Meat taste test proved to be interesting and hopefully delicious. 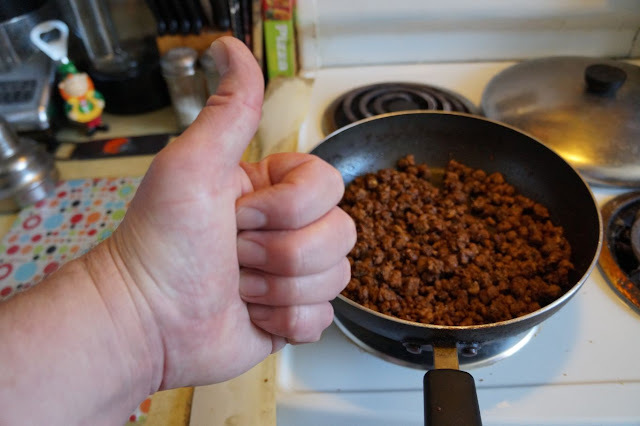 We greased up a hot grill pan, yes the same we used for the burgers, and tossed in the "beef" crumbles then slowly mixed in the taco seasoning. Once again, the 100% plant based food alchemy was making sounds just like a good grind of real meat would whilst cooking away on the stove top. Crazy. As we stirred in the seasoning we noticed that the product lacked a bit of tenderness and was a fairly dry. To help this we added more oil and a bit of water to let it steam in and hoped that the combo of the two would work out. 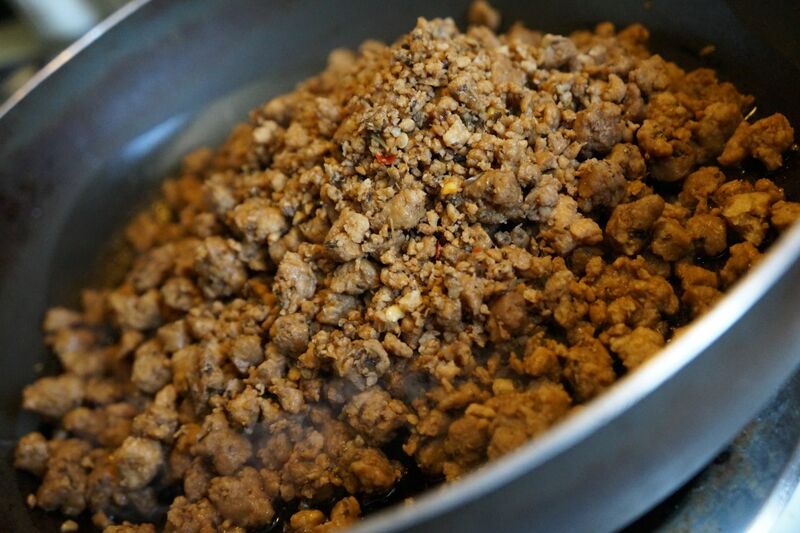 Maybe you like your taco meat to be a bit arid but us Homeskillet choads like it mega moist and bursting with flavor. Again, we live in Tucson. Our tastebuds are competing with some incredible carne asada and beef tacos out there. But the extra oil and water seemed to help. Much like the burger "meat", the "beefy" crumbles were already sort of cooked and all we had to do was heat it up, season it up and bring it to life. Once the temperature and consistency of the vegan beef was up to snuff, we assembled the tacos to our liking and dug in. Honestly, we were glad we added a bunch of seasoning to the "meat" because without it we thought that it really wouldn't stand much of a chance. That said, with the other components, our Beyond Meat tacos were really tasty. 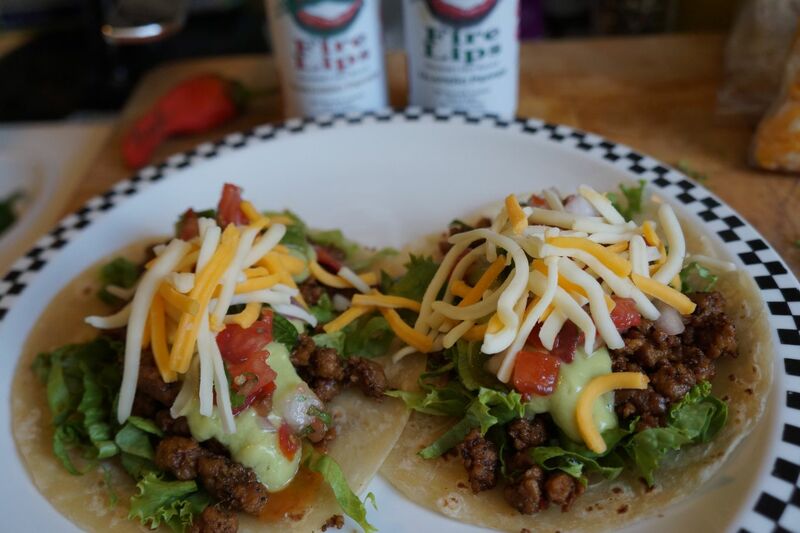 Having had some of the greatest beef tacos that southern Arizona has to offer and then some, our tongue was used to that authentic flavor and character, so the countless ingredients that make up the lab tested food product was a little odd. 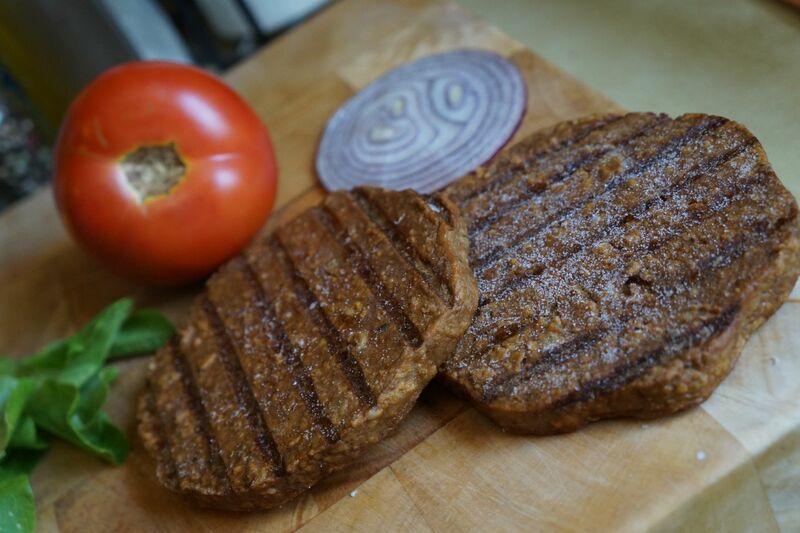 But it definitely was not the worst vegan meat we have tried...far from it! As a matter of fact, it was probably the best, but being good omnivores and sporting a bit of a taco obsession, it just took some getting used to. After a couple of bites though, we didn't even notice that we were eating Franken-beef. In fact, we were kind of getting into it. 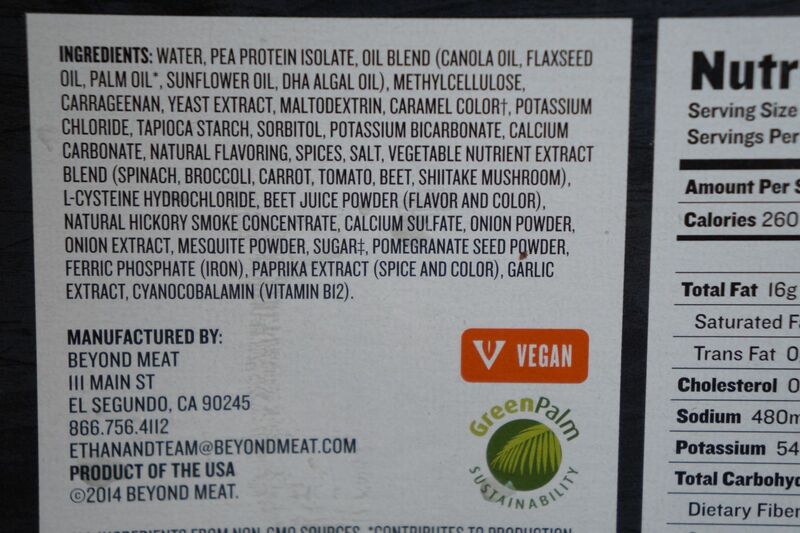 Good job Beyond Meat. You pretty much have us convinced. The best part is is that you can get this stuff at a lot of local grocery stores, even big box ones. But we encourage you to get it from local/Arizona vendors such as the Food Conspiracy Co-Op, Natural Grocers and Bashas. Okay, so they're not like super super local and small biz but...it's the best we can do here. C'mon. We're trying our best! Point is, our mouths are already starting to drool and our stomachs are beginning to rumble just thinking about the Beyond Burger. If these already available products at most decent shops can make us not notice the fact that we were eating non-meat, we can't even fathom what the new stuff is going to be like. But that's another Homeskillet article all together. 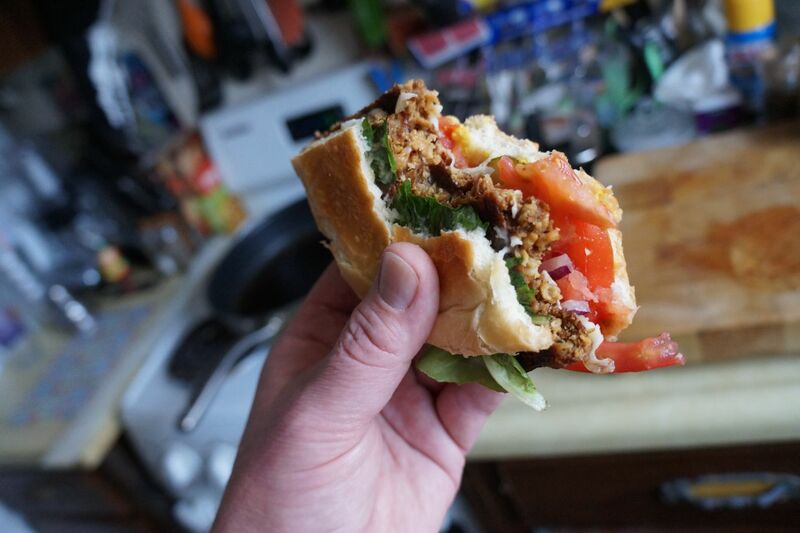 Thanks again Beyond Meat! 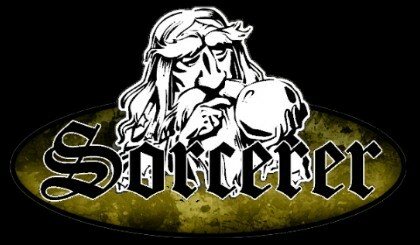 You made believers out of us. But we're still not going to go vegan. Or even vegetarian. Oh no. I mean, have you had the beef tongue (de lengua) tacos at La Fresita? Yeah. That's why.